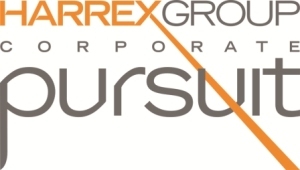 Less than two weeks after entries opened, interest is already high in Cycling Southland's Harrex Group Corporate Pursuit being held in June. Organisers expect to easily fill the field of 32 corporate teams that will compete in New Zealand’s only indoor velodrome in Invercargill in a grading time trial on Friday 18 June and then finals on Sunday 27 June. Some teams have already started training even though organised coaching for the event does not start until 10 May. "Each year we aim to continue to develop this unique event as a positive experience for both the competitors and spectators alike," spokesperson for Cycling Southland Julian Ineson said. The Corporate Pursuit involves teams of four riders in an Italian-style pursuit, with one rider dropping off after each lap. The team with the fastest time over the four laps is the winner. The event has proved to be a winning formula within the Southland business community with organisations seeing the team building and bonding elements as well as recognising its fun, encouraging environment and the chance to get on a bike and increase fitness levels. The programme includes six weeks of training with a dedicated coach for each team. Organisers have exciting plans to lift the level of entertainment and atmosphere this year, raise the profile of the event and increase the number of spectators. Entry forms are available on the Cycling Southland website or at their office at the ILT Velodrome. Entries close 22 April.